Substitute mezcal for gin in the Negroni recipe, and what do you get? A smoky Negroni, which is even better than a regular Negroni! I got the idea from Speisekammer's bar. There, it was served with a fancy vermouth, but I only had the non-fancy variety at home. Still, it was delicious. 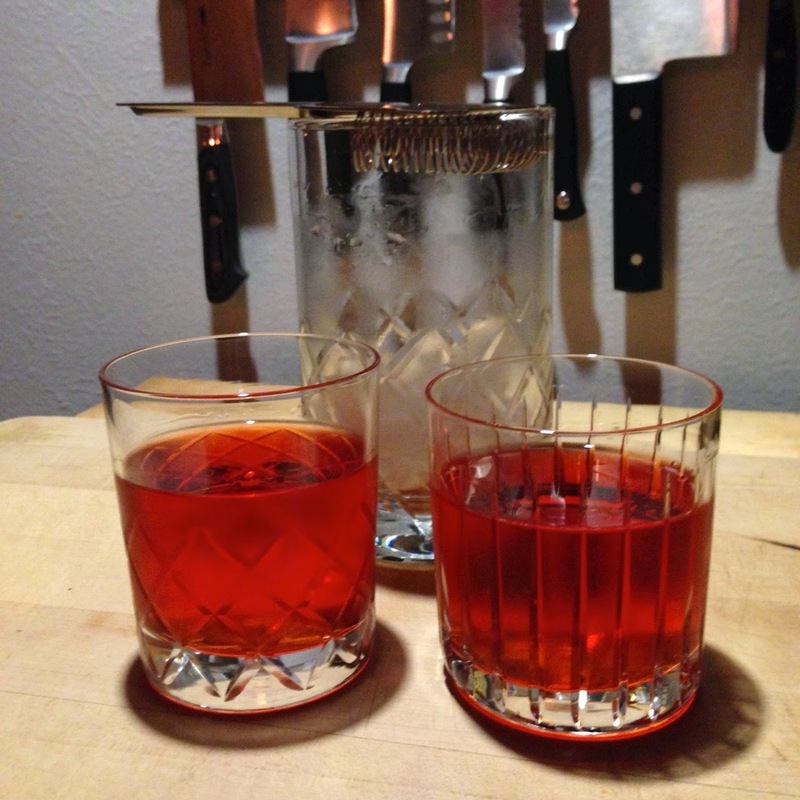 If you want to make your own smoky Negroni, mix together equal parts mezcal, sweet vermouth, and Campari. I was out of Campari last night, so I made it with Aperol, resulting in a less bitter drink. Hey, since I'm already messing with a classic cocktail, what's one more substitution?